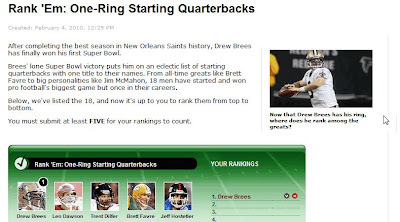 So ESPN decided to rank the one-ring quarterbacks, and were gracious enough to put Drew Brees on that list for the ring he will apparently win Sunday? Not good karma, folks. (Click on the picture for the full size).